A program that enables you to extract, view and convert resources from Thimbleweed Park. It has been designed for the windows versions of the game although it may work with versions from other platforms. 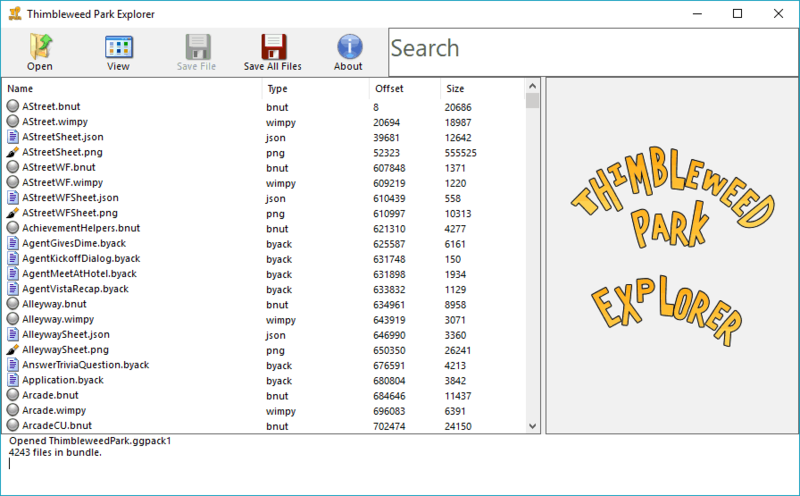 Lets you browse through the game’s files and dump individual files/all files. Lets you play and dump the audio. Lets you view and save the images. Decodes and displays various other filetypes as you browse through the files.